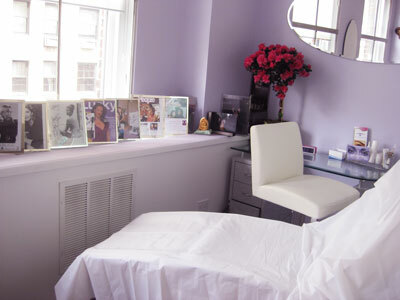 July 2010, New York City – This summer, acclaimed eyebrow guru Eliza Petrescu will bring her signature services and personal touch to New York City’s prestigious Madison Avenue with the opening of Eliza’s Eyes. Located at 30 East 76th Street, this 1,000 square foot abode will provide an inimitable beauty retreat for those seeking a beauty experience like no other. Starting July 1st, Eliza’s Eyes will no longer be affiliated with the Exhale Spa in NYC or any of their locations. Eliza, whose eyebrow-shaping precision has earned her the name “Queen of the Arch,” along with her two sons Robert and Alexander and long-time assistant Natasha, will run this location to operate more like a distinctive, neighborhood apothecary than a bustling New York City spa. With a guarantee to remember clients’ names and personal preferences, Eliza and her team are sure to impress new and existing clients alike. Upon entering Eliza’s Eyes, guests are immediately welcomed into a comfortable, bright, spacious studio-like environment. Once inside, the room opens up fluidly passed the reception desk and into an inviting lounge area. Just beyond, intimate treatment rooms are easily accessed. Natural light filters through translucent panes, which overlook Madison Avenue. The layout is designed with a pure, Zen-like feel and color palette of warm, soft sage and lavender tones. The loft-like setting portrays a modern look and feel, much like that of a cozy apartment. “We worked with cutting-edge architects’ c.a.s. Collective of NYC to create a relaxed setting where clients can simply sit back and smile while enjoying the soothing and tranquil environment,” says Eliza. Eliza’s Eyes will be the latest addition to arrive on the prestigious, tree-lined street, adjacent to the Carlyle Hotel, is known for its luxurious shops and cafes. Tucked into the 5th floor of a charming, refurbished redbrick building, the spa will offer clients a relaxing oasis away from the bustling streets of New York City. This destination will offer a full-service spa experience including six private treatment rooms where clients can indulge in the world-class service for which Eliza has become famous. The spa menu includes a full range of services, including expert eyebrow shaping, permanent eyebrow application, brow and lash tinting, lash extensions, waxing, acupuncture, organic spray tanning, massage, reflexology, facials, express makeup-up application, massages and manicures. “Our goal is provide outstanding, unprecedented individual attention, impart the best possible treatment experience and make our services a part of each and every client’s beauty regimen,” says Eliza.